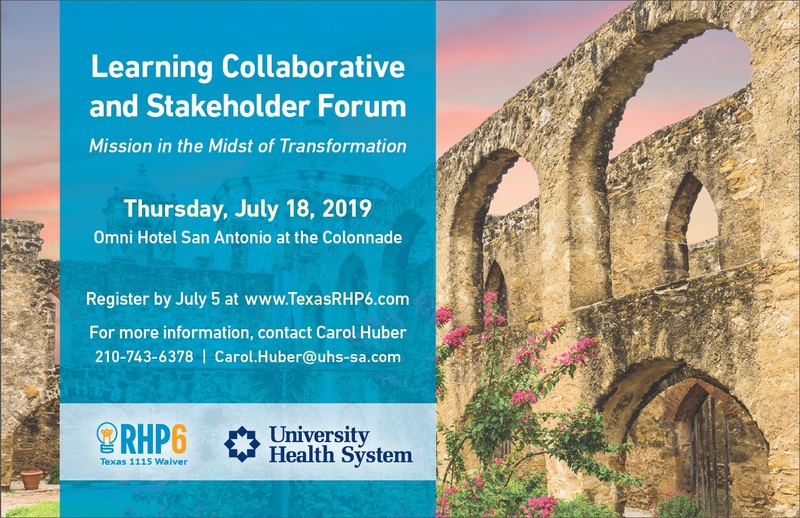 Join us for our 6th annual RHP 6 Learning Collaborative & Stakeholder Forum! The event will take place at the Omni Hotel San Antonio at the Colonnade on Thursday, July 18, 2019. 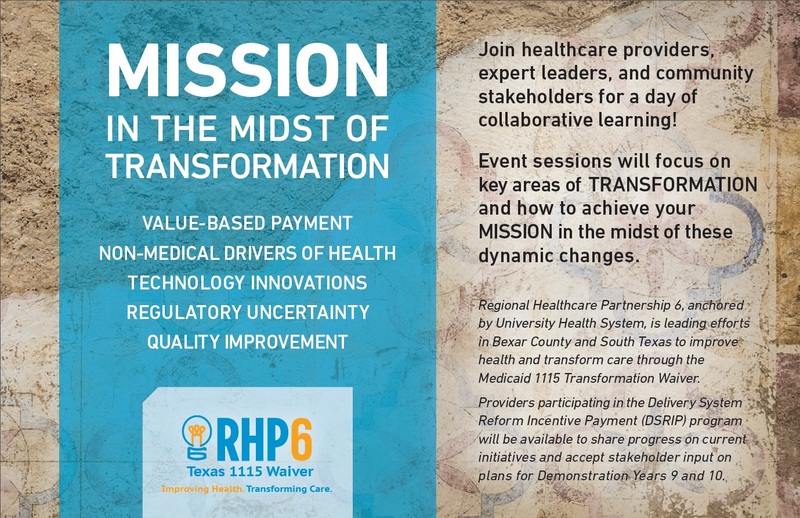 Join other health care providers, stakeholders, and leaders working to improve health and transform care in Texas. Registration for this full day event will close July 5th. The agenda will be posted as soon as it is available. More information will be posted here as soon as it becomes available. Contact carol.huber@uhs-sa.com with questions.